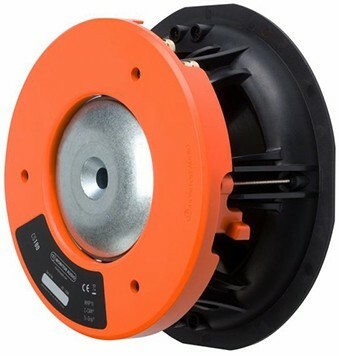 CS180 from Monitor Audio's Core series of ceiling speakers features a large 8" C-CAM driver and C-CAM gold dome tweeter with higher output and power handling than the 2-way models. Earn 165 loyalty points when you order this item. 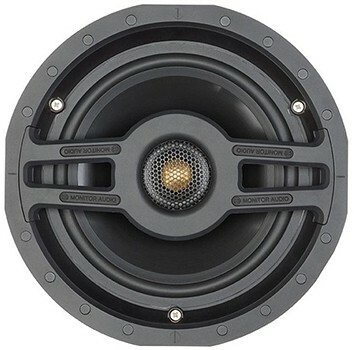 Monitor Audio CS180 in-ceiling model pairs an 8" MMP II driver with the pivoting C-CAM Gold Dome tweeter offering superior dynamic delivery in an ultra-discreet format. It will deliver great full-range sound with rapid versatility. With a physical depth of under 4", the Slim models are ideal for easy installation in various locations, being ideal for standard stud walls and where depth is restricted. 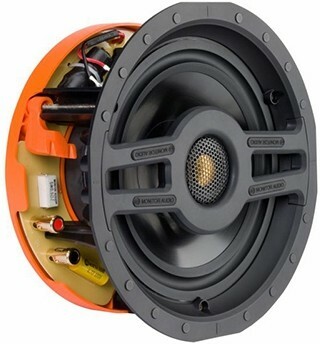 Building-in the bass driver basket with the frame, Monitor Audio have reduced total speaker size by 25% more than traditional speakers without any performance sacrifice.